Spice Womens Conference is our annual event designed to strengthen and encourage every woman to be all God has made her to be. This year's focus is our identity as ROYAL. Our hope is that every woman grows in her understanding of her identity and calling. If you are looking for hotel accommodations during the conference, you will have lots of choices in and around Grand Rapids. For your convenience, we have arranged a special conference rate at the Holiday Inn. Travel time to the conference location is around 10 minutes. For reservations, call 616.285.7600 and mention The Point Church. Angela works alongside her husband, Andrew, as part of the leadership team at The Point. Angela has a very clear gift of communication with the ability to present life-giving biblical truth in a practical humorous way with a strong prophetic edge. She is known as a great storyteller with an intriguing Welsh accent. She travels internationally speaking at churches, conferences, Bible schools, and seminars. Andrew and Angela live in Grand Rapids. They have three children, two daughter-in-laws, and two grandchildren. Fi is a fun loving 'Brit' who lives in America with her family. Together with her husband, Dan, they lead Life Church in St Charles, Illinois. 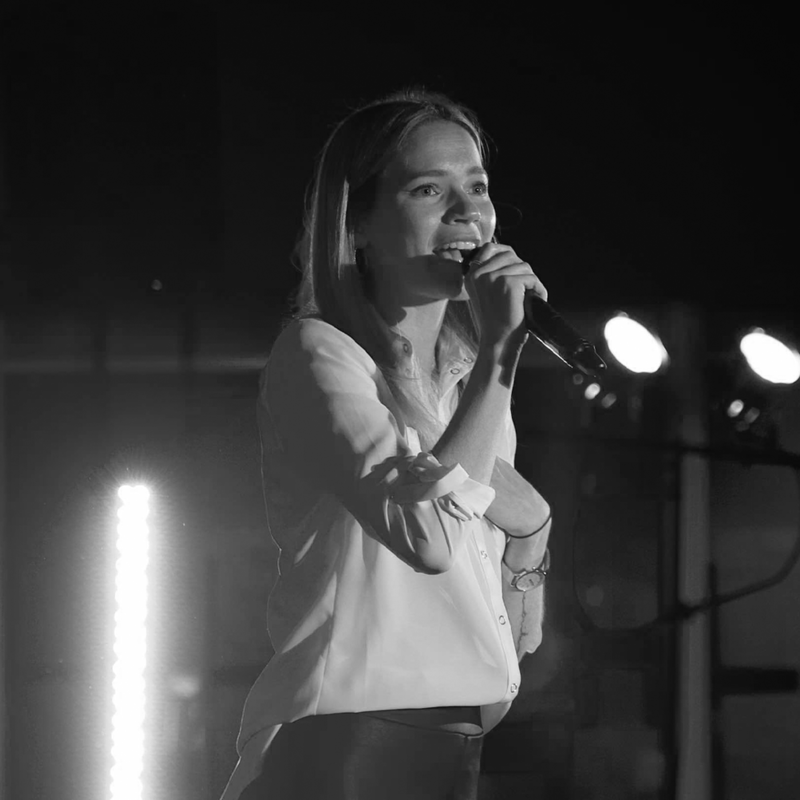 She is responsible for the worship team there, regularly leads worship, and has input into women's ministry. Fi has a passion for prayer and to see lives healed. With a definite comedic style, Fi loves to bring joy and laughter wherever she goes. Dan & Fi have three sons; Isaac, Judah, and Jonah. Kayla and her husband, Jed, are campus leaders at The Point Grand Rapids. Kayla has a huge passion to see the body of Christ live a life of authentic worship and grow into full maturity. Kayla and Jed live in Wyoming, MI, with their son, Roman. Melissa has a gift of evangelism and her heart is to motivate women to pursue their callings. She has a passion to inspire women to live holistically healthy through biblical principles which she writes about in her book, 'She Can Laugh'. Melissa lives in Grand Rapids, MI, with her husband, Keane, and two children, Ella and Winston. Download and share to spread the word.